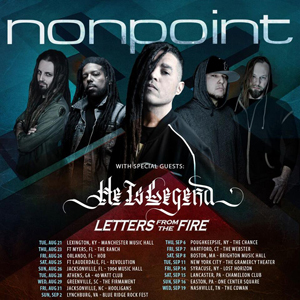 NONPOINT are set to release their new album titled X and pronounced "Ten," on August 24 via Spinefarm Records. The album is the tenth studio release of the band's career. Pre-order X HERE. North Carolina's HE IS LEGEND released their Spinefarm Records debut and fifth full-length album Few in April of 2017. The band has been on the road nonstop since.